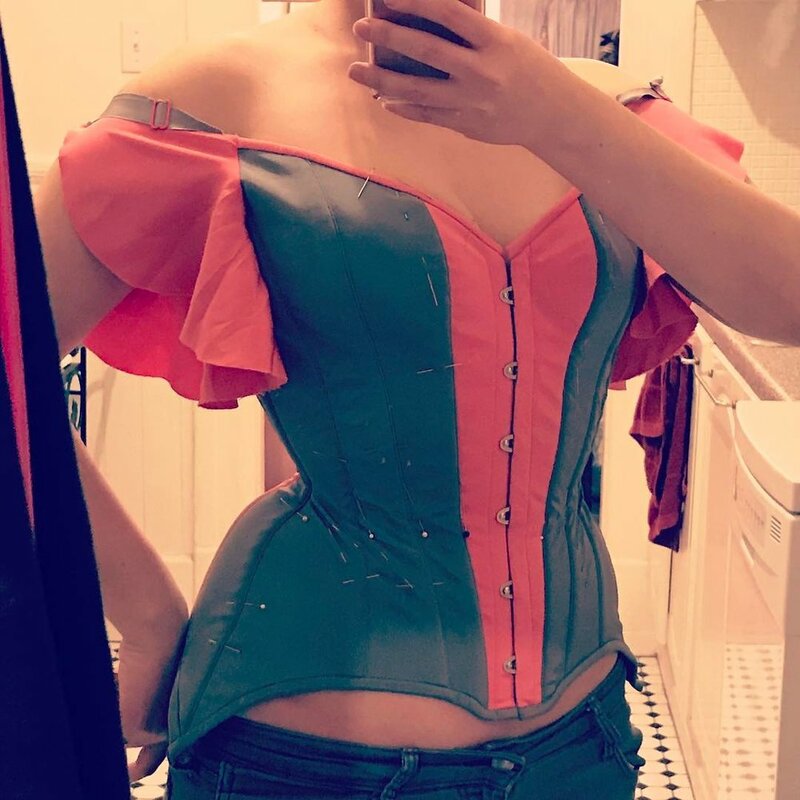 I touched on mockups in a recent post about made to measure corsetry. A mockup (also called a toile) is a prototype used to test the fit of a corset or other garment. So what specifically does the mockup do for you? 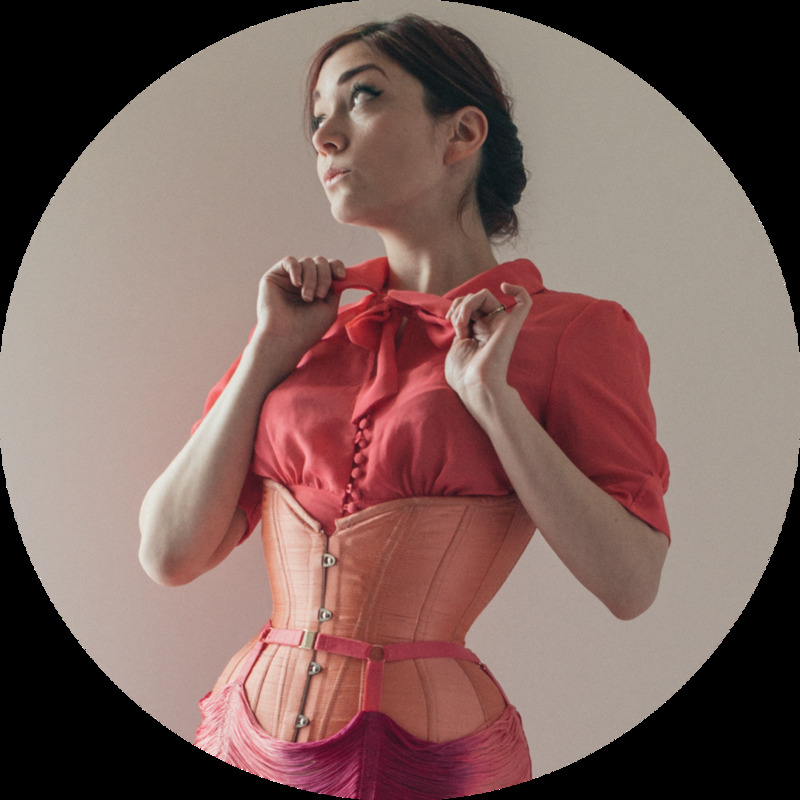 If you're buying a "custom" corset because your measurements aren't standard fit, fully bespoke service accommodates for the fact that the way you compress and displace maybe isn't standard either. You might squish more, or less, in certain places than is typical. Or your flesh redistributes in a specific way – more upward squish than outright compression, for example. That's why just taking your measurements and applying them to a standardized formula sometimes produces... underwhelming results. So, a mockup provides an opportunity to correct flawed measurements. But even if the corset measurements are technically correct, that doesn't guarantee that they are balanced for your body. This is why people can have extremely similar measurements but fit very differently into the same corset. The overall dimension is only part of the story: how it's distributed is the difference between comfort and pain. For example, I often find myself moving rib and chest fullness from the front and side of the body to the back. This matches my narrow, naturally rectangular rib cage shape as well as my scoliosis-curved spine and tilted-back shoulders, rather than forcing me to hunch forward into my corsets. Most importantly, a mockup gives you the opportunity to communicate feedback to your corsetiere before they create the finished piece. Any of the above and more is fair game, and the more communicative you are, the better. That's a two-way street, though – your corsetmaker will be aware of the needs and limitations of the style. You hired them for their expertise, after all! As you can see, the relatively simple concept of using a mockup to test fit actually covers quite a lot of scenarios and needs! 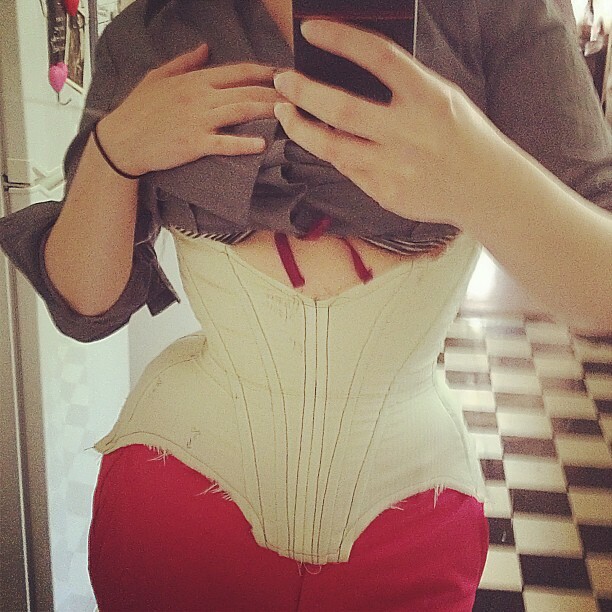 A mockup fitting (or two or three) makes a huge difference in the end result of a custom corset. Do you have any bespoke corsets? What did you think of the mockup fitting process?